>When you ask what it is, it answers "You are we. Royal guardians of the Princess Luna and of the treacherous Nightmare Moon. We are the stars. You are the stars." "I'd like to study your new-found power at some point," Star Swirl tells you as he heads for the door. "I'm curious about how much power you actually hold and what you can do with it." He stops to dust off his hat and place it back on his head. "If you are to," he says, turning to look at you, "just call my name and I will appear." "I shall go and raise the moon," Luna says, flying up to give you a brief kiss on your cheek. "Perhaps I will see you in your dreams?" The two of them leave you and Celestia alone. "I know what just happened is a lot to process," she says, poring over countless documents, "so if you'd like to talk, don't be afraid to come to me. I'm always willing to listen." Celestia raises her gaze to meet yours for a moment, smiles, and then returns to her work. "Now get going," she says. "Lucent is still waiting for you." If you notice, you'll have more bits than before. Can't remember if at some point I had the arena operator give you money for winning, but there ya go. Yeah, I think we got 5,000 bits for beating up Gavin. That's as good a reason to go with Lucent as any. You walk outside to meet Lucent, closing the door behind you. "Hey," Lucent greets you with a smile. "Look, whatever happened in there, I don't mind if you don't wanna talk about it. We can just have some fun if you want. Cool?" Lucent's rubbing one of her forelegs with her hoof and keeps switching from looking to you to the floor. "Fine with me. I'm not entirely sure what happened yet either and explaining it would most likely take the whole evening." 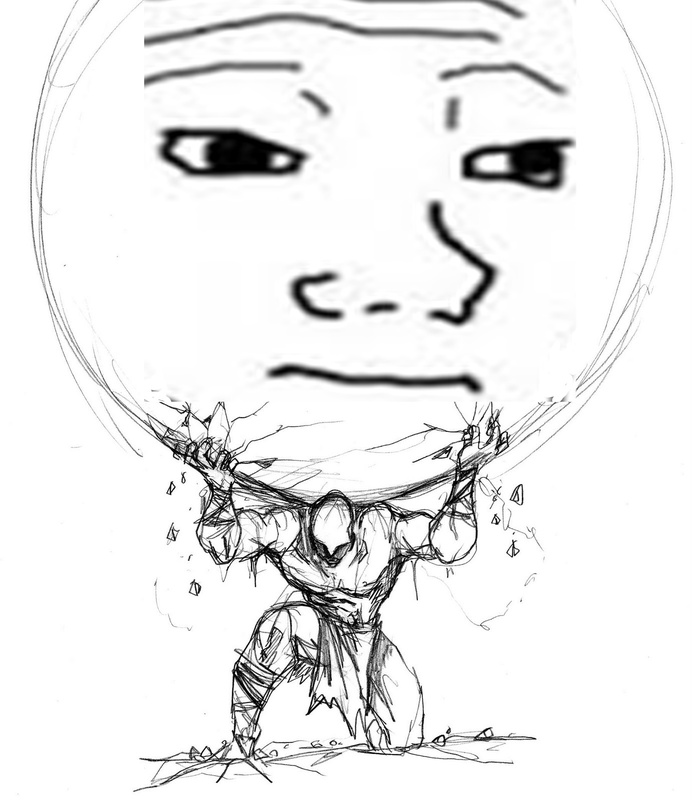 >You exit the Colosseum and the announcer hands you another bag of 5,000 bits at the door. And already has, last week! "Okay," Lucent says and straightens out her dress. "I figured we could just get something to eat and maybe walk around town a bit. I don't know how much of it you've seen already… or was there somewhere you wanted to go?" Celestia and Luna already showed you a lot of Taloran. The only place you can really remember that you didn't visit was the museum they mentioned. You don't know if it'll be open now that it's night, but it couldn't hurt to check it out. Maybe Lucent might have somewhere else in mind? I think we should just let Lucent suggest something. Seems unlikely that she will pick the Colosseum and everything else will be more or less new to us. Museum's tempting because I wanna know what the deal is, but Lucent invited us out on the town for some fun, not business. "Something to eat sounds good," you say, and let Lucent lead you out of the palace. "Those dragons made a real mess of the the Mind," Lucent tells you both walk. "They have to make a mini forge in there for the chains and they just used it to melt everything down." Isn't the Mind what keeps this city afloat? Or was that another part of his body? You're right. It's the mind. "What do you mean they made a mess of the Mind?`I thought it was needed to keep this city afloat"
"Didn't we kind of…need that?" So what was the actual damage done? I didn't get a chance to see it before Pierce ushered us out, so I don't really know what important stuff there was that could be melted down like that. "We do," Lucent says, tilting her head to the side for a moment. "But it works off of good vibes. Wrecking the Skull doesn't really do anything. Messed up." Lucent sticks her tongue out briefly and smiles. "The skull doesn't really do anything but protect the mind," she says, "so I usually just talk about the skull and the mind as the same thing." "So what was the actual damage done? I didn't get a chance to see it before Pierce ushered us out, so I don't really know what important stuff there was that could be melted down like that." "It was mostly stuff used to make the chains," Lucent explains. "Tools and stuff the ponies use. We're just lucky they didn't find the harmonyllium." Lucent steps out of the palace and into the cool night air. A passing breeze blows by, ruffling her hair, and she opens up her wings to catch it. Her eyes close and she takes a deep breath before she folds them back into place. "Luna must be really happy tonight," Lucent says as she looks up into the sky. "The stars are shining, the moon is bright, and you can just feel that everything's alright, you know?" "We all kinda need that right now, I guess," she says. "It might be the last few happy and peaceful moment we will have for the next week or weeks - I doubt Tiamat will invite us to coffee and cake once we show up." "It might be the last few happy and peaceful moment we will have for the next week or weeks - I doubt Tiamat will invite us to coffee and cake once we show up," you say as you stand next to her. "Scared?" "Nah," Lucent says with a shake of her head. "Nothing terrifying about fighting the mother of all dragons." Lucent starts to laugh, but it comes out as a yawn. "Sorry," she says. "Been doing that all day because of the new schedule. I should be dead tired right now, but I guess I'm just excited." "Just don't fall asleep once the showdown begins." Ruffle her mane a bit. Yeah, she's certainly a piece of work. But we've got the Princesses who've done this all once before and neither of them have seemed too worried about upcoming fight. I'd think they might just be keeping face to avoid worrying the rest of us, but… You said it yourself, Luna's genuinely happy tonight. If she can enjoy life like that with the battle on the horizon, I think we can take the time to too. Just so long as we keep our weapons and wits sharp for the morning, sleepyhead. "Just don't fall asleep once the showdown begins," you tell her and ruffle her mane a bit. It's exceptionally softer than the previous times you've ruffled her hair, and the scent of lavender wafts up through the breeze. "Yeah, she's certainly a piece of work. But we've got the Princesses who've done this all once before and neither of them have seemed too worried about upcoming fight. I'd think they might just be keeping face to avoid worrying the rest of us, but… You said it yourself, Luna's genuinely happy tonight. If she can enjoy life like that with the battle on the horizon, I think we can take the time to too. Just so long as we keep our weapons and wits sharp for the morning, sleepyhead." Lucent knocks your hand away and lets loose her bubbly, soda pop laugh. "Just don't get yourself into any trouble out there," she says. "I've already been scarred once saving your life." Lucent takes off into the air and takes your hand with her, dragging you into the city. "C'mon," Lucent says. "I'm starving." She stops tugging you the farther you walk, but her hoof doesn't leave your hand. Oh right, I forgot to say this after last time. >'The Stars' cast GRAND DELUSION! You keep up with her, letting her hoof rest in your hand as she leads you towards a bistro. "I don't come here too often," Lucent says, letting go of you as she lands. "But whenever I'm in Taloran I always drop by for something to eat." The pony host greets Lucent and his eyes widen when he sees you. After a quiet discussion between the two ponies, the host smiles and leads you through the bistro and into an outdoor back area. Lucent seats herself at a long table and the host has a couple of servers bring out a lengthy bench for you, as all of their chairs are much too small. Looking around, you notice there isn't really anyone else out here. A couple of griffons off in a corner and a group of ponies laughing with a few drinks in their hooves. Sounds of a fountain are coming from one stationed at the entrance to a garden area. "Go ahead and order whatever you want," Lucent tells you as servers bring you menus. "It's all free so you don't need to worry about paying for anything." "All free? Is that part of the 'keeping everyone happy so the city doesn't fall out of the sky' agenda?" Check what's on the menu. Free? Is the owner a friend of yours? Let's check out that menu. If there's griffons and it's a dragon city, maybe we'll be able to get some meat. "All free? What service. Is that part of the 'keeping everyone happy so the city doesn't fall out of the sky' agenda? Or is the owner a friend of yours?" Taking a look at the menus shows a bunch of different sandwiches and salads, all of them vegetarian, flowery, or with some sort of vegetable substitute. If there's meat on here, it's not really meat in any sense of the word. "The bouquet special please," Lucent asks as she hands the server her menu. "Lilies in different colors." "And for you?" the server asks you. You order something that at least sounds a little appetizing and hand the server your menu. "Owner's a friend of mine," Lucent says. "She used to be in the royal guard with me until she left to start this place." Lucent nods her head to the bistro beside you and summons another server. "Just water for me, please." Lucent raises an eyebrow at this, but then shrugs your decision aside. "Vodka and orange juice, please," she says, and the server runs off. "So how are things? With Luna, Celestia, in general? We didn't see each other at all today so I'm kind of curious what you were up to that led to all that back in the palace?" Should we tell her about the arena first or directly answer the question and tell her about THE STARS? Let's tell her about the arena first. I bet she'll get a kick out of that story. 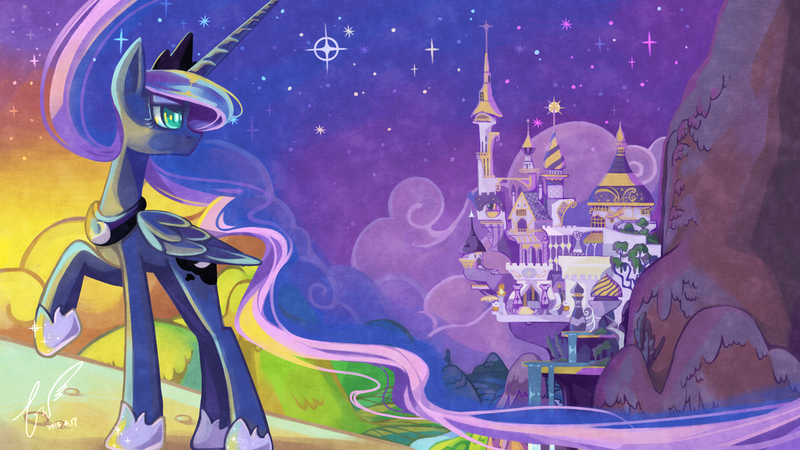 "I went with Celestia and Luna to get a first look at the city. We visited the Colosseum and - you are probably gonna love this - I somehow ended up in its middle facing off against a Griffon." "And I missed that?" Lucent says, standing her forelegs on the table as she smiles. "I bet you got beat so bad. What happened?" >"I bet you got beat so bad"
"You certainly put a lot of trust into the people who are going to fight the Mother of Dragons alongside you. And no, I did not get beat so bad - well, maybe a little, but in the end my superior skill reigned supreme and I won the fight." Lucent falls back to all fours, her face cherry red. "I'm sorry," Lucent says. "I trip over my words a lot when I'm excited. Still wish I could've seen it though. The arena's are always good for a show and I'd always count on you in a fight." Lucent's eyes are looking all over the bistro as she talks. It takes her a minute to calm down, but she's frowning a little when she does. "And what did the princesses think?" she says. "Celestia was less than impressed. I don't think she's too fond of violence. Luna though, she thought it was the greatest thing ever." I dunno if we should mention the kiss right now or not. On the one hand we have to tell her at some point, but on the other I don't want to sour the mood before we've even eaten. That could make dinner all kinds of awkward. >"I'm sorry," Lucent says. "I trip over my words a lot when I'm excited. Still wish I could've seen it though"
"Don't worry, for a while I was worried I might lose the fight, too. If it hadn't been for him smashing those pillar to pieces with his face, it might have ended differently." >"And what did the princesses think?" she says. "Celestia seemed to be mostly happy that I might it out alive while Luna apparently sees me as a nigh invincible warrior now." I say we don't bring it up unless she makes a move and we have to. "Celestia was less than impressed. I don't think she's too fond of violence. She seemed to be mostly happy that I might it out alive while Luna apparently sees me as a nigh invincible warrior now." The server arrives and drops off your drinks. Lucent takes a long drink from hers and sets it on the table with a smile. "Wooing our fair princess is working out well then?" she asks. "Has she shown any interest in you at all since?" "Well, she WAS more than just a little bit happy to see me win the match.."
"You could say that. I think my hairless-ape ways have grown on her." Take a sip of your water. "Well, she WAS more than just a little bit happy to see me win the match." "Don't tease me like that," Lucent says with a smile. "What happened? Did she throw herself onto you and tell you how strong and brave you were?" Lucent starts to make little kissing noises as she takes another drink. "You shouldn't talk about yourself like that," Lucent says, setting down an empty glass. "You're not just some hairless ape, you know? Not to me… Or Luna if you really are starting to grow on her." Lucent's eyes drift towards the bistro again. Another server comes and places your food on the table, but Lucent doesn't eat just yet. Instead, she orders another drink and continues to stare at the other patrons behind the glass. "You're just you," she says. "And I'm just me." "I know, Lucy. You're a good friend." Should we tell her about the star thing? Because that statement is technically not right anymore. Maybe. It might confuse her a bit though. We could use it to distract her from being miserable. "Weeeell, technically that's not entirely true. Remember how you asked me what went down back at the palace?" Lucent's eyes brighten at the mention of her name and she smiles at you. "Let's eat," she says as she digs in. The two of you eat in relative silence for most of the meal. Lucent tells you more about cleaning up the Skull so they can do the ritual and how Baron groaned the whole time, drinking a few more glasses as she does so. "He wanted to come with me tonight to see you," she started to say, "but he changed his mind when he found it was just supposed to be the two of us." "Remember how you asked me what went down back at the palace?" "Yeah," she says before emptying her current glass. "What was up with that?" "I am not sure anymore, did I tell you about Tiamat invading my dreams and taunting me? She also showed me the door you saw back in the palace.."
"This is going to sound really weird, but I swear I'm not crazy. Behind that door inside my head, I met…the stars. Like, the actual stars in the skies. They talked to me and told me I used to be one of them. A star that somehow gained a sense of identity and a body…though they claimed they could've done better on that last part." "Like I said: not crazy." "I am not sure anymore, did I tell you about Tiamat invading my dreams and taunting me? She also showed me the door you saw back in the palace." "Nope," she says, leaning forward and resting her face in her hooves. "And if you did, I don't remember either." If you were expecting a weird reaction from Lucent, she doesn't give you one. She's as calm, happy, and smiling as she was before you said something. "I never said you were," Lucent says and shakes her head. "That sounds pretty amazing to me and I was there for some of it. On the outside, anyway." "I guess in a world full of magical beings that doesn't sound as crazy as I thought it does"
"They also merged with me and gave me their powers." Attempt a light spell to demonstrate. >Attempt a light spell to demonstrate. It's a light spell, not a thermonuclear detonation spell. "I guess in a world full of magical beings that doesn't sound as crazy as I thought it does" you say, and make a ball of light in your hand. "They also merged with me and gave me their powers." "Now that is neat," Lucent's hooves fall to the table and she stares at the light you've created. "But if you were always a star then it's always been you're power. You just sort of got it back." Lucent moves around to your side of the table, taking slow steps towards the bistro. "Let's go somewhere else," Lucent says as she passes. "I wanna do something with you." Just pretend we were eating while we talked. You follow Lucent through the bistro and back onto the street. The streets are full and Lucent is hovering just slightly above the crowd. She doesn't say much as you follow her, but she has a small smile on her face the whole time. The two of you move through the city for what seems like hours, until she finally stops at the edge of Taloran at one of the docking areas. The city is behind you. Open skies, the stars, and the moon are above you, while a sea of clouds separates Taloran from the rest of the world. It's another ocean in the sky up here. "I can't remember if I told you or not," Lucent says as she takes a seat on the edge of the city, "but I was born here, not too far from the palace." She falls onto her back and kicks her hind legs over the edge. "I always told myself that when I retired, I'd come back here and live out the rest of my life," she continues. "Get married and have a family." "I don't think you mentioned being born here before - did you know Gold Heart before all this? With her father having been the old ambassador, I could imagine that she hails from here, too." "Nah," Lucent says, shaking her head. "Gold Heart's only ever been my commanding officer. She's a real inspiration to me though." Lucent sits up and stands next to you. "The longer I served as part of the Royal Guard," she says. "The more I started to realize that even if I did come back here, I'd have no real reason to stay." Lucent turns to you and asks, "I told you why Baron and I broke up, right?" "It was because he was too jealous and tried to control every aspect of your life, wasn't it?" Lucent nods and says, "Yeah, but that wasn't the only reason. When I was with Baron, I honestly thought he was the stallion I'd have that family with." Lucent flies out before you off the edge of the city and taps her hooves together. "Baron wanted the same thing that I did," she continues. "But when we both found out I couldn't, he took it a little harder than me. He was really hurt, because he loved me, and I was really hurt because I thought I'd hurt him, and it just turned into this huge mess of us being together out of guilt." Lucent throws up her hooves and dives backwards into the clouds. When she surfaces, she's got a pile of cloud fluff with her and she perches herself on it in front of you. "I can't have children," Lucent says and sighs. "So when you came along and you were cute and funny and kind and strong and didn't want kids, I thought I could see myself being with you." Lucent flops forward onto the cloud. "But now you're with Princess Luna and you kissed her in the arena and I know you like her and that you know I like you and I didn't want to tell you I liked you because I thought it would mess up your relationship with Luna, you know?" I really need to re-read the old sessions, I don't remember her mentioning that she's infertile before. We also didn't mention that we kissed Luna, did she spy on us? Pick her from her cloud and give her a good hug. "I'm sorry. I should have told you earlier but there never seemed to be a good time and I didn't want our friendship to suffer." I guess that makes a lot more sense now. "You don't have to be afraid, Lucy. Nothing's ruined. You're my best friend, and nothing's gonna get in the way of that." "Oh Lucent…" you pick her up from off her cloud and hug her. "I'm sorry. I should have told you earlier but there never seemed to be a good time and I didn't want our friendship to suffer." "You don't have to apologize, ya big goof," Lucent says pushing you back and wiping a few tears from her eyes. "I already knew, kind of, but it didn't really hit me until literally everyone in Taloran was talking about it. You really shouldn't kiss Luna in front of all those ponies." "Your best friend, huh?" Lucent smiles, as she plops herself back on the cloud and sniffles. Oh god we entered a time loop. Now we are stuck at eternally breaking her heart. The lounge was the second time. SHE kissed YOU the first time in the arena. I can't really come up with anything else, either. "You heard me," you say and smile back. "Then as your best friend," she says, raising her head. "I will continue you to support your love of the princess… and I know this is probably going to get me in trouble, but if things ever don't work out with the princess…"
"I'll always be here," she says with her biggest smile. "Who else but your best friend is going to save you if you fall again? Other than Luna, I mean." "I appreciate it. And don't worry, you're not in trouble." "We should probably start heading back to the palace soon or we'll both be in trouble," Lucent says, hopping off the cloud and onto the city. "Unless you don't want to go back just yet? I'm sure there's something else we could do." I guess we could use this chance for a quick trip to the museum. If there's anything of relevance for us in there, now might be the last chance to see it. How late is it anyway? "We should probably head back. I've gotten in enough hot water for tardiness already." "Alright," Lucent says and blushes again, "but would you mind carrying me? I had a lot to drink back at the bistro and I'm really tired." She's scratching her hoof at the ground and waiting for your answer. Do we pick her up or let her ride piggy back? You scoop Lucent up and she lets out a small squeak in surprise. Curled up in your arms, comfy and cozy, Lucent's face is still a little red and she's frowning. "I didn't mean like this," she says, "but okay." You carry her back to the palace and find she's lighter than you imagined. It's not long before she's starting to drift off in your arms and you've gotten used to the smell of lavender. "Before I'm too sober," she says and raises her head to give you a kiss on the cheek. "As a thank you from your best friend." Stroke through her mane one time and then bring her to her room. I was thinking about giving her a kiss on the forehead but that might send the wrong message. "Thanks, Lucy. Sleep well," you tell her, stroking a hand through her mane. You're about to take her to her room, and then you realize you actually don't know where her room is. You've actually only seen Celestia's room once, and in a palace this huge, you don't know where that is either. Thankfully, some of staff are still around and after some direction, Lucent is taken to her room while you head towards yours. Your room is actually pretty close to the princesses. It wouldn't take you long to pop in on one of them and say goodnight. They might be asleep though, and you should be too. Should we see if Celestia's still up? She still has our gift for Luna. I don't think there is anything we have to talk about with Celestia right now. Or well, we could investigate our new powers with her rather than with Star Swirl, be we need to talk with Star Swirl about the Harmonyllium anyway. No, we got it back from her, its in our inventory. We could also go to Luna but then neither of us will get any sleep and it would feel kinda wrong to do that as first thing right after our conversation with Lucent. Yeah, we should probably let her sleep. We might see her in our dreams anyways. I think we should chat up Starswirl about the Harmonyllium. >I think we should chat up Starswirl about the Harmonyllium. We could do that if it isn't too late yet. A.J., what time is it? >We could do that if it isn't too late yet. On the topic of 'too late', do we even have to sleep as a star? Or is eating and sleeping something we just did to keep our delusion up? That is also an option. All you have to do is call his name and he'll pop up. 11 pm isn't too late yet, even if we have to get up early we should still be able to squeeze in an hour with StarSwirl without being too tired in the morning. I say we call his name, might be useful to find out what our powers are and what Harmonyllium can do. Alright. Thanks for joining in on the session guys. Hope you had a lot of fun and I'll see you next week. Thanks for the session, A.J.! Poor Lucent, but it was inevitable. I do enjoy your writing quite a bit.